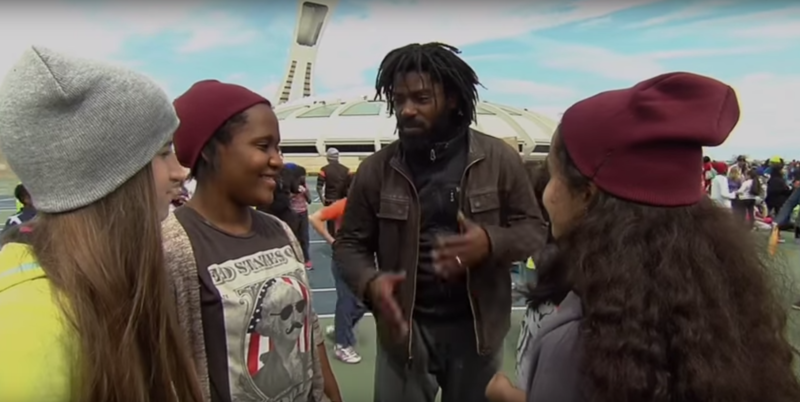 In 2015, Emmanuel Jouthe and Laurence Fournier Campeau directed a flash mob for International Dance Day. This project was initiated by the Commission scolaire de la Pointe-de-l’Île, and was overseen by the Regroupement québécois de la danse and by Circuit-Est centre chorégraphique. 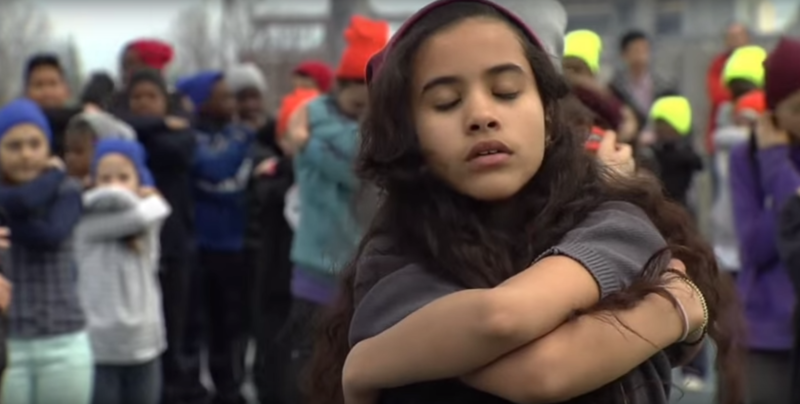 The choreography that was presented resulted from creative workshops undertaken with 22 groups of students in grades 4 through 6, attending one of 6 elementary schools in Montreal. 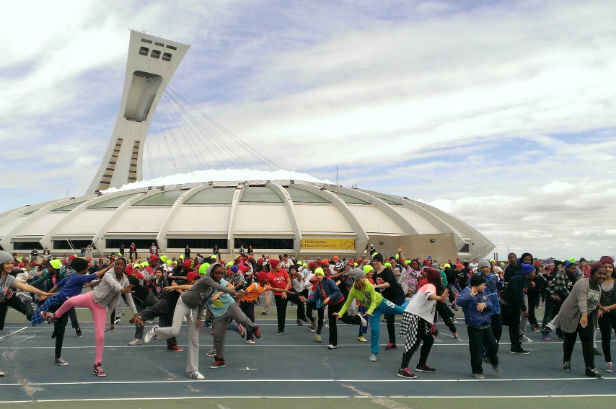 Presented as part of the Québec Danse event, this project brought together over 300 students on the Esplanade Financière Sun Life at the Parc Olympique. This far-reaching project was a convincing demonstration of the company’s specialized expertise. Indeed, Emmanuel Jouthe was personally selected for the project by the teachers involved in each participating school. 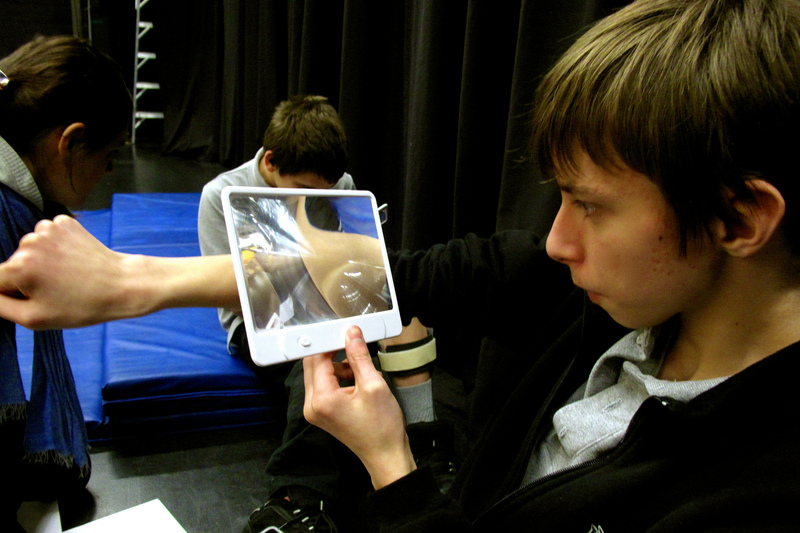 Emmanuel Jouthe was invited by the École secondaire Cavelier-De LaSalle to give 7 days of workshops to 125 students, from January to March 2015, as part of the Culture à l’École program. These workshops were offered along with presentations of 30-minute excerpts from CINQ HUMEURS and WHEN WE WERE OLD, for around 400 students. 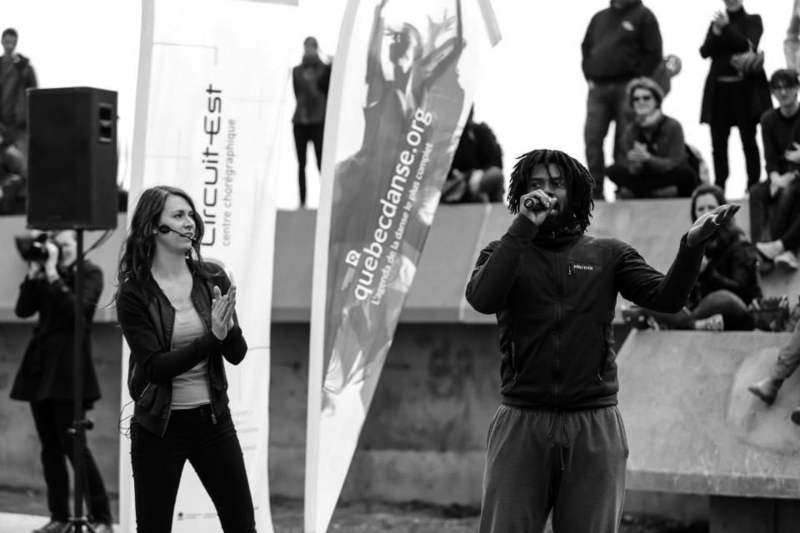 SUITES PERMÉABLES, a creation piloted by the Conseil des arts de Montréal’s Programme de résidences de création et diffusion, was initiated in conjunction with mediation to guide the creative process, thanks to support from Accès Culture. 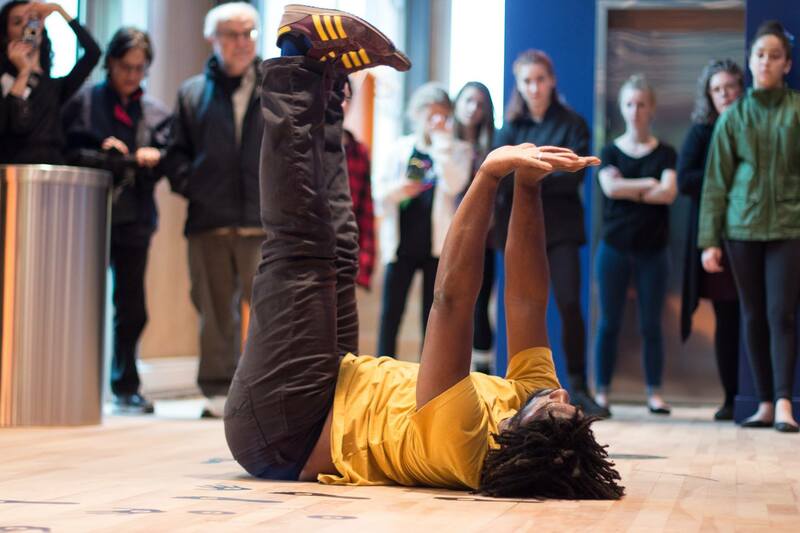 With 5 partnering Maisons de la culture for this project, the company was able to involve spectators in its compositional process, first offering introductory activities in the spirit of demystifying the artist’s creative work in the studio, then engaging people in exploring different movements, first as exercises in physical proximity, then actively with a test audience. This test audience proved indispensable to the piece’s creative advancement, providing dancers with a field for experimentation and with focused feedback on their freshly developed ideas. 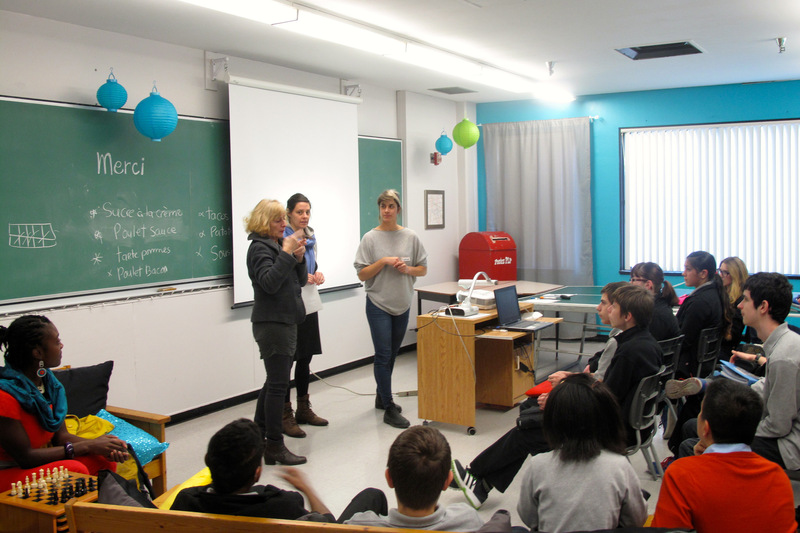 One especially compelling experience for the company occurred in outreach activities with deaf students at École Lucien-Pagé. These students’ insights into movement and close contact greatly influenced the piece’s evolution.